Melting could be one of the most important phenomena of the 21st century. Thanks to man-made climate change, Arctic ice levels have hit a record low this year. 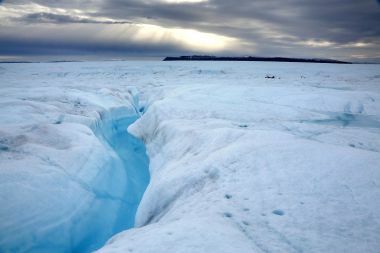 Among the many profound changes that could stem from ice melting across the world, according to a new study from an international group of scientists, is the release of deeply buried radiation. “They are some of the highest levels you see in the environment outside nuclear exclusion zones,” says Caroline Clason, a lecturer in Physical Geography at the University of Plymouth, speaking in a press statement. When human-made radiation is released into the environment, be it in small amounts like the Three Mile Island accident of 1979 or larger quantities like the Chernobyl disaster of 1986and the Fukushima Daichii accident of 2011, it goes into the atmosphere. That includes elements like radioactive cesium, which have been known to make people sick to the point of death across the globe. 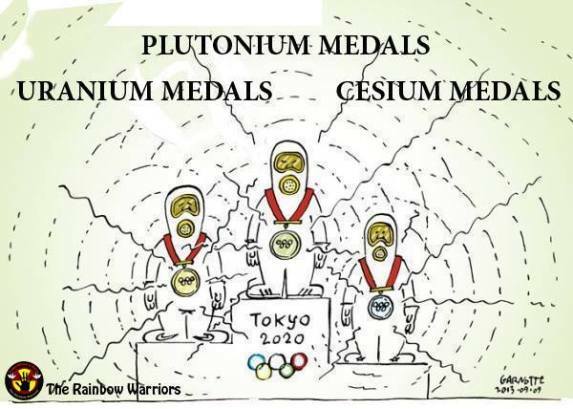 After Chernobyl, clouds of cesium traveled across Europe. Radiation spread without regard for borders, reaching as far as England through rains. But when rain freezes, it takes the form of ice. And within ice, it can lay trapped. What does that response look like? Humanity is starting to find out, Clason says. She points to wild boar in Sweden, who in 2017 were found to have 10 times the levels of normal radiation. 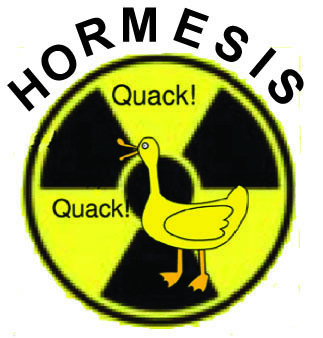 Traces of human-made radiation last a famously long time. Ice around the globe contains nuclear material not just from accidents involving nuclear power plants, but also man’s use of nuclear weapons. 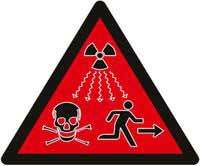 Elements within radiation have different life spans. Perhaps the most notorious of these, Plutonium-241 has a 14 year half-life. [ed. most plutonium isotopes have half-lives of many thousands of years] But Americium-241, a synthetic chemical element, has a half life of 432 years. It can stay in ice a long time, and when that ice melts will spread. There isn’t much data yet on its ability to spread into the human food chain, but Clason called the threat of Americum “particularly dangerous”. “These materials are a product of what we have put into the atmosphere. This is just showing that our nuclear legacy hasn’t disappeared yet, it’s still there,” she says. Science 6th March 2019 Two decades after Chernobyl, the International Atomic Energy Agency (IAEA), the World Health Organization (WHO), and the United Nations (UN) Scientific Committee on the Effects of Atomic Radiation stated that “fewer than 50 deaths had been directly attributed to radiation from the disaster, almost all being highly exposed rescue workers,” because radiation levels were considered too low to have caused any detectable harm. This conclusion was based on data derived from the atomic bomb survivors life-span study, a program that began in 1950 to document the long-term health effects of the atomic bombing of Hiroshima and Nagasaki. yet the idea that there were no long-term consequences to human health proved hard to dislodge. 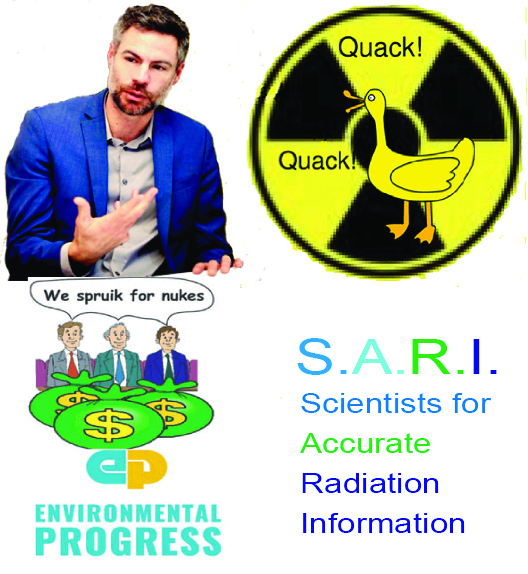 The UN-WHO-IAEA assessment was repeated in many venues and was cited by journalists as a scientific consensus. After the Fukushima nuclear accident in 2011, residents in the affected region were told by experts from many of the same international institutions that there would be no direct long-term health effects because their radiation exposure was low. 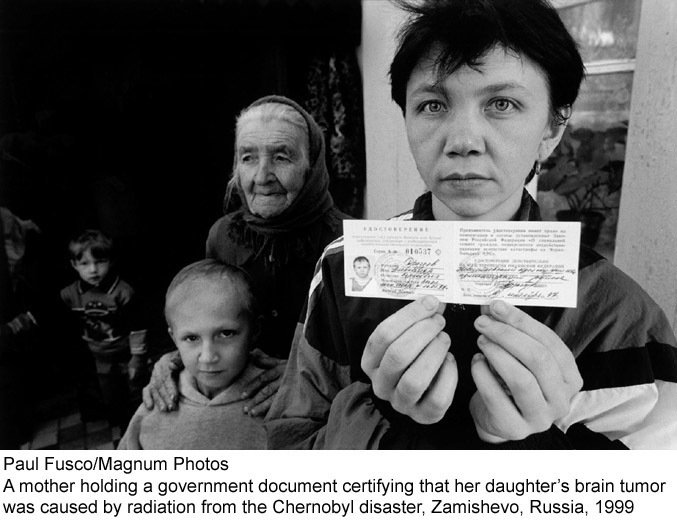 Because there was no post-Chernobyl equivalent to the atomic bomb survivors life-span study, the argument went, the data on the Japanese survivors remained the gold standard of international nuclear regulations. 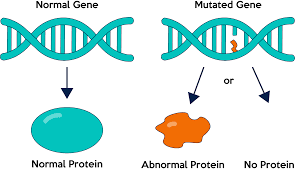 The notion that no such data existed, however, was not entirely true as regards Chernobyl. 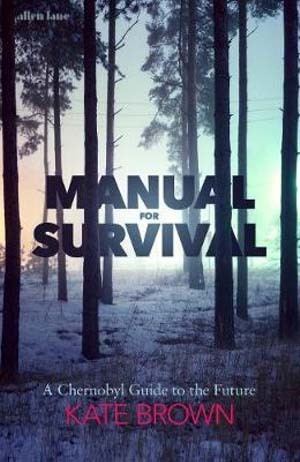 Kate Brown’s meticulously researched Manual for Survival is the first environmental and medical history that recovers decades-long efforts of scientists and doctors in Ukraine and Belarus to document the long-term health impacts from the Chernobyl meltdown. know that they were exposed to radiation. Over the years, Soviet scientists amassed vast evidence of a broad range of debilitating health effects from low-level radiation, including cancers; anemia; gastrointestinal problems; and severe disorders of the liver, kidneys, thyroid, and other organs. The individuals who collected these data risked their careers and lives, enduring harassment from regional politicians and Soviet secret police and accumulating radioactive isotopes in their own bodies. It wasn’t enough radiation to be alarming, but it could be a sign of an ongoing problem The Verge By Rachel Becker Feb 26, 2019, 1A crematorium in Arizona became contaminated with radiation when workers cremated a man who had received radiation treatments for cancer right before he died, a new study reports. The findings highlight a potential safety gap for crematory workers, who might not know what’s in the body they’re cremating. In this case, the radiation in the crematorium wasn’t significant enough to be worrying for the crematory worker’s health, according to a study published today in the Journal of the American Medical Association. But the study also found clues that exposure to radioactive compounds from medical treatments may be an ongoing safety risk for crematory workers……..